Henry Fielding was born at Sharpham Park, Somerset. He was by birth a gentleman, closely allied to the aristocracy. Fielding grew up on his parents' farm at East Stour, Dorset. His mother died when Fielding was eleven, and when his father remarried, Henry was sent to Eton. He studied at Eton College (1719-1724), where he learned to love ancient Greek and Roman literature. Encouraged by his cousin, Lady Mary Worley Montague, Fielding started his career as a writer in London. In 1728 he wrote two plays, of which Love in Several Masques was successfully performed at Drury Lane. In the same year he went to the University of Leiden in the Netherlands, enlarging his knowledge of classical literature. After returning to England, he devoted himself to writing for the stage. Fielding also became a manager of the Little Theatre in the Haymarket. In 1730 he had four plays produced, among them Tom Thumb, which is his most famous and popular drama. According to a story, it made Swift laugh for the second time in his life. In 1736 Fielding took over the management of the New Theatre, writing for it among others the satirical comedy Pasquin. For several years Fielding's life was happy and prosperous. However, Fielding's sharp burlesques satirizing the government gained the attention of the Prime Minister, Sir Robert Walpole, and Fielding's career in theater was ended by Theatrical Licensing Act - directed primarily at him. In search for an alternative career he became editor of the magazine Champion, an opposition journal. After studies of law Fielding was called in 1740 to the bar. Because of increasing illness - he suffered from grout and asthma - Fielding was unable to pursue his legal career with any consistency. 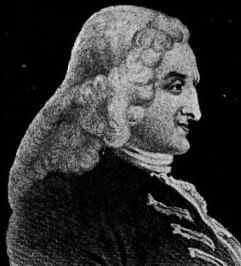 Between the years 1729 and 1737 Fielding wrote 25 plays but he acclaimed critical notice with his novels. The best known are The History of Tom Jones, a Foundling (1749), in which the tangled comedies of coincidence are offset by the neat, architectonic structure of the story, and The History of the Adventures of Joseph Andrews (1742), a parody of Richardson's Pamela (1740). In 1734, he married Charlotte Cradock, who became his model for Sophia Western in Tom Jones and for the heroine of Amelia, the author's last novel. In 1747, several years after Charlotte Fielding’s death, he caused some scandal by marrying his wife's maid and friend Mary Daniel - he was condemned by every snob in England. Actually she was about to bear his child, and Fielding wished to save her from disgrace. After Walpole had been replaced by another prime minister, Fielding came to the defense of the Establishment. As a reward for his governmental journalism he was made justice of the peace for the City of Westminster in 1748 and for the county of Middlesex in 1749. Together with his half brother Sir John Fielding, he established a new tradition of justice and suppression of crime in London, organizing a detective force that later developed into Scotland Yard. Fielding's writings became more socially orientated – among other things, he opposed public hangings. From the court in Bow Street he continued his struggle against corruption and successfully implemented a plan for breaking up the criminal gangs who were then flourishing in London. When the author's health was failing and he was forced to use crutches, he went with his wife and one of his daughters to Portugal to recuperate. Fielding died on October 8, 1754 in Lisbon. His travel book, The Journal of a Voyage to Lisbon, appeared posthumously in 1755. The story of Tom Jones, "a foundling" who is raised by Squire Allworthy.